Reader's Choice Award WINNER for Best Photographer! Thank you Tucson! It's a week for winning around here! I wanted to have this out Monday, but I completely forgot it was Labor Day, and I hope your family enjoyed a fun and memorable one! I have two... technically THREE big announcements for you! 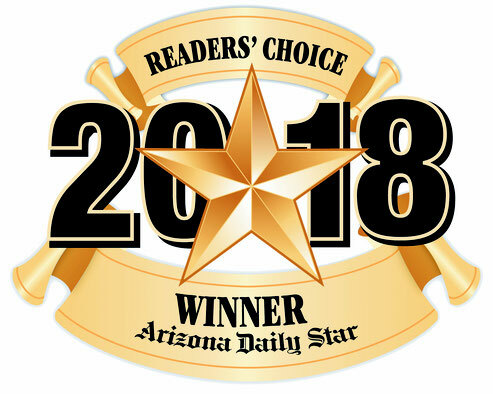 2018 Reader's Choice award for Tucson's BEST PHOTOGRAPHER! I am genuinely so grateful for the amazing clients and incredibly supportive community I have had the pleasure of getting to know and love. I cannot say Thank You enough! Truly I am overwhelmed. Second. I want to celebrate this award by giving back to YOU! For absolutely EVERYONE who participated in the give-a-way, I have a special gift for you too! So even if you don't see your name below, do not dismay because you will have a little something headed to your way also! They are going in the mail this week so watch your mailboxes!! (This can only apply if you made sure to register on the website with your mailing address! IF you participated on social media but forgot to register on the website please email me and I will verify your participation so that you can get your gift as well!). And now for the time you have all been waiting for! My team and I will help you look and feel gorgeous! Please watch your mailbox for your gift certificate and contact me when you get it to schedule your design and style consultation! Want to learn more about the team, or about what types of meaningful portrait experiences we may offer, you can head back HOME page to see it all there! *Please note that these may be used towards a full custom session only, and may not be used towards mini sessions or special events. Once again. 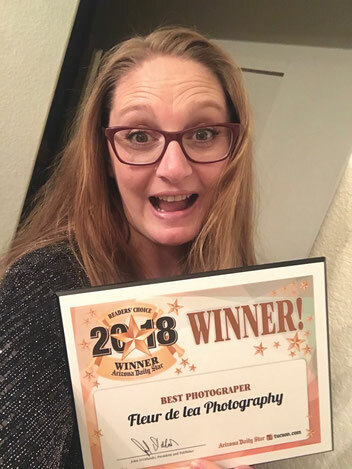 Thank you all for your amazing and continued support, It is because of all of you, my amazing clients and our wonderful community that I was awarded Tucson's Best Photographer. I couldn't have made it there without you! 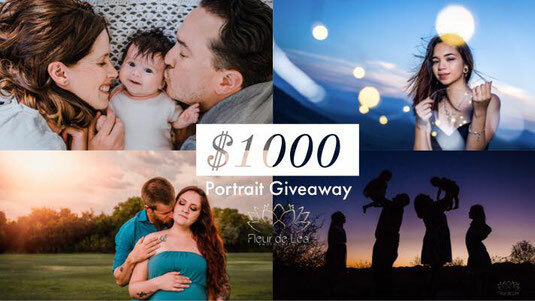 If you would like to learn more about what we do, or if you would like to schedule a complimentary style and design consultation please call me at 520.975.9051 or drop me an email at info@fleurdeleaphotography.com. So many great announcements! Congratulations and what a great way to give back! Wow, congratulations!!!! What a great way to give back to your community! Wow this is an amazing giveaway!! Congratulations to the lucky winners! Well certainly a big CONGRATULATIONS is in order to all! Nicely done! What an incredible honor! Congratulations! !